Vines have been spoken of at Monthelie since the 9th century. 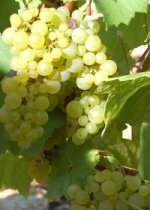 Monthelie, however, was only recovered with vines at the same time as the other villages of the Côte. Up to the end of the 12th century, the expansion of vines beyond the lords, the monasteries or the churches was impossible. 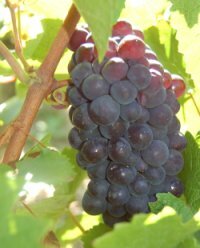 The conditions for wine growers began to improve during the 14th century when the work was at last remunerated. The Burgundian vineyards had already experienced in the 15th and 16th centuries the ‘black disease’ which partially destroyed them. The attack of Phylloxera, in the second half of the 19th century, led to their total destruction. 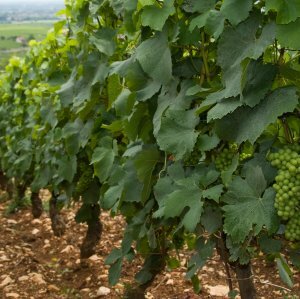 The vines were quickly re-established and so the wines of Burgundy were able to maintain their reputation. Despite its small production, Monthelie strove to carve out its place. For a long time marketed under the names of Volnay or Pommard, the appellation Monthelie was created in July 1937. (special characteristics of the land). here in the red wines. in the white wines of Burgundy. It makes up 8% of the surface growing area in Monthelie.